New Delhi: An all-party meeting on the Pulwama militant attack is underway and the Union government is expected to brief top leaders of different parties on steps being taken by it to meet the challenge. The meeting convened by Home Minister Rajnath Singh, who was in Kashmir on Friday to take stock of the situation, is being attended by Ghulam Nabi Azad, Anand Sharma and Jyotiraditya Scindia of the Congress, Sudip Bandyopadhyay and Derek O’Brien of the TMC, Sanjay Raut of the Shiv Sena, Jithendra Reddy of the TRS, D Raja of the CPI, Farooq Abdullah of the National Conference, Ram Vilas Paswan of the LJP among others. The parties will be briefed about the attack in Pulwama and the steps being taken by the government so far, a home ministry official said. 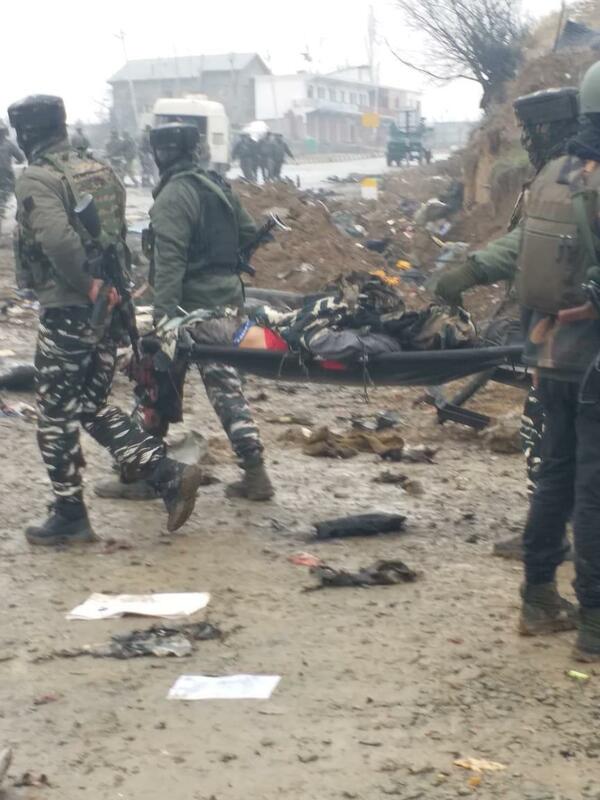 As many as 40 CRPF jawans were killed in one of the biggest attacks on security forces in Jammu and Kashmir. Jaish-e-Mohammad has claimed responsibility for it.